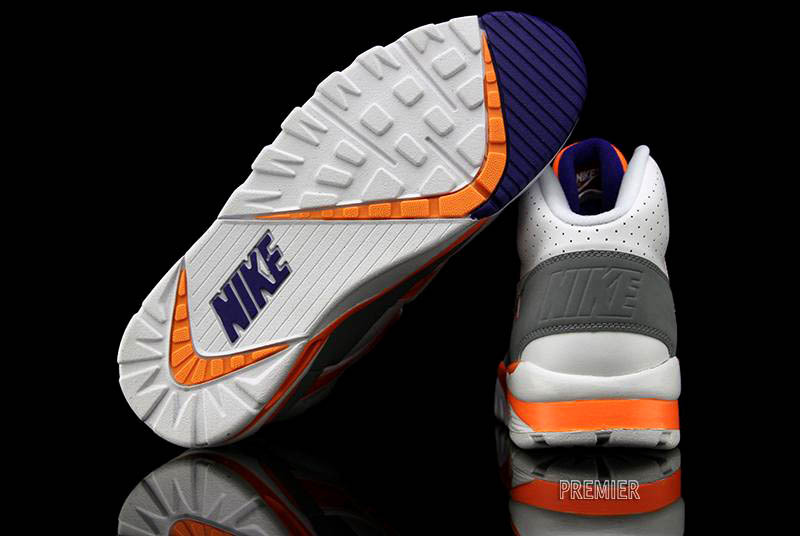 Nike Air Trainer SC "Auburn"
The original orange-accented colorway of the classic SC Trainer is on the way to retailers. 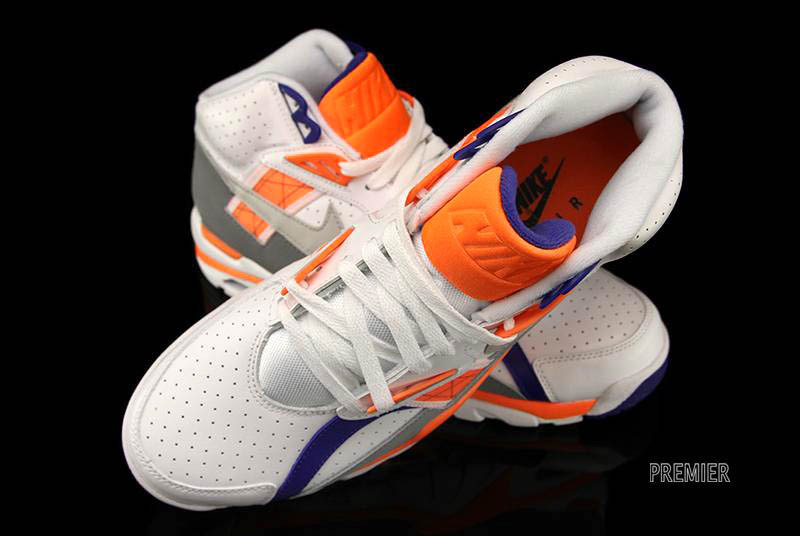 Bo Jackson's Nike SC Trainer from 1990 is on its way back in its original and most famous colorway with this 'White/Light Zen Grey-Total Orange-Stealth' make up. 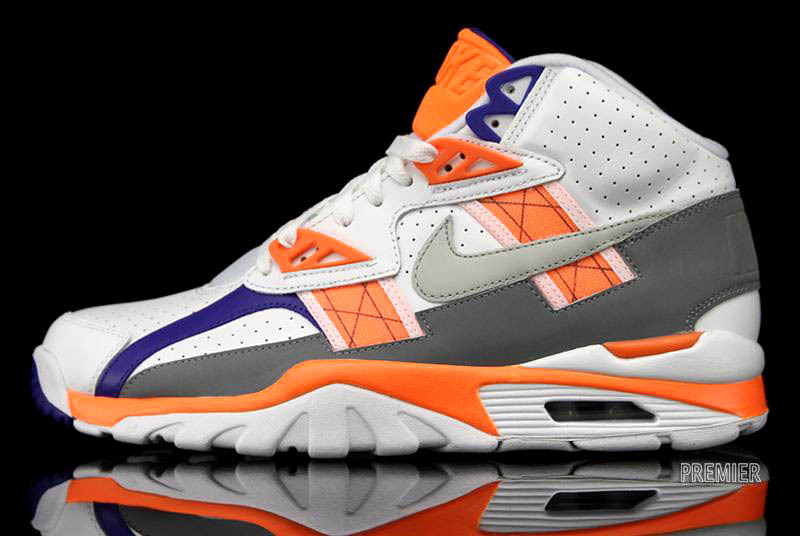 The OG orange and purple accented colorway of the SC Trainer dubbed "Auburn" after Bo's alma mater is the version we all know and love, and is on its way back to retailers now. Officially releasing later this month on February 23rd, Premier has them available now via phone order.